JohnMasone.com - "Hey Dad, Hold My Bike Up For A Second..."
"Hey Dad, Hold My Bike Up For A Second..."
A mountain bike isn't going to hold itself up you know. 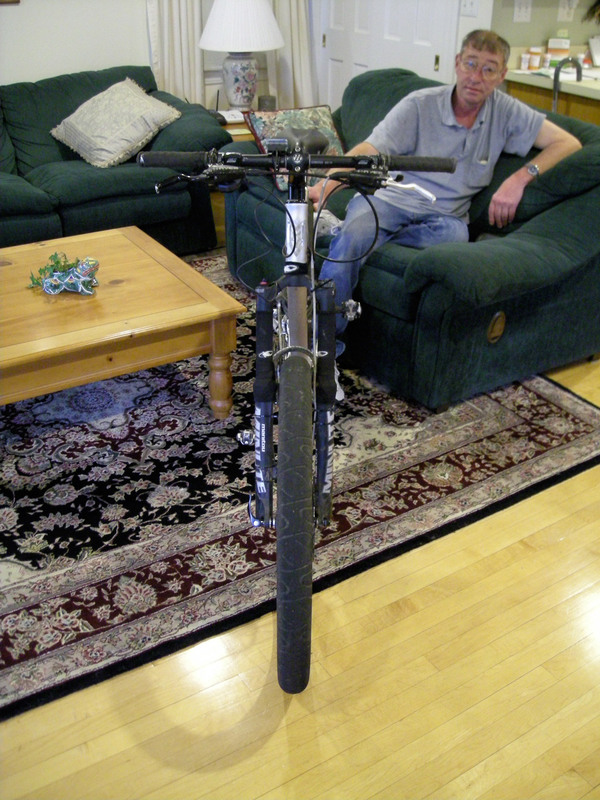 From the bike, and the parts on the bike, I can tell you this was taken around spring or early summer 2007. Just taking pics of the bike, just to have pics.